Get ready to take part in something new... something different! The starting clock is counting down to the first Tallinex trading competition of 2016... and the prizes are HUGE! This is a DEMO-trading contest because we wanted anyone and everyone to take part... we just decided to make things more interesting by offering bigger prizes than most live-trading competitions. So... if you have ever thought of taking part in a trading competition, then THIS is the competition to take part in! 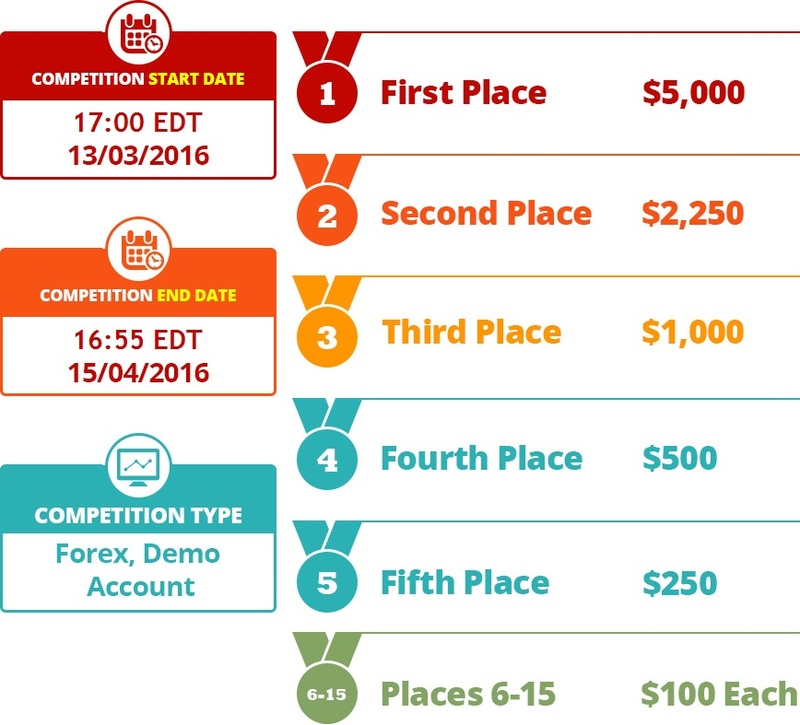 Competition entrants will go head-to-head - each trading a $2,500 micro account with 1:400 leverage. There are no restrictions - competitors are free to trade any strategy... whether manual, automated, or both. Come early, or come late - you will be able to dive in and join the fun right up until April 15th. 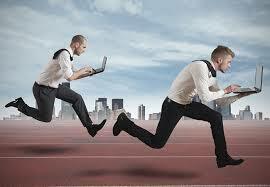 Give yourself the maximum trading time ...and the best possible chance to win - register NOW! After submitting your details (using the link above, or the TRADING ACCOUNTS > COMPETITION option in the main menu of the website), you will be issued with a new 'competition profile' - you*must* log in to that profile to obtain login details for your MT4 competition account - you will find the credentials on the home page. If you have misplaced your back-office details then use the "Request Login Details" option on the Login page to recover them. IMPORTANT: Only competition profile accounts are eligible - demo accounts that you create yourself will not appear on the leader board, and will not qualify for prizes. IMPORTANT UPDATE: Please ensure that you update your competition back-office profile with your correct full address and contact information, as incomplete profiles will be excluded from the contest.